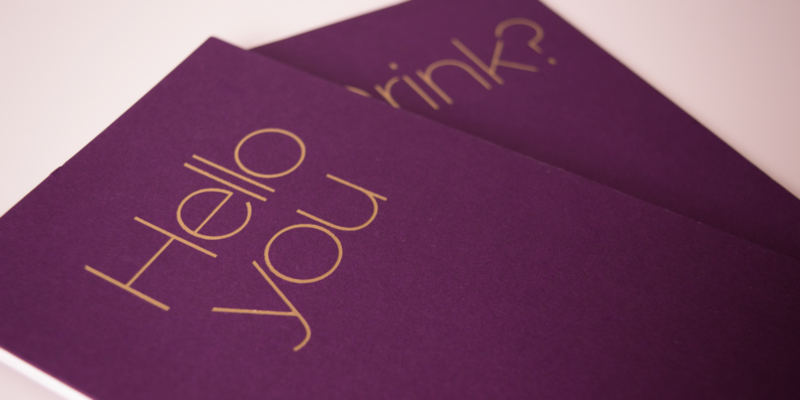 We created a new suite of menus for Virgin Atlantic, which communicated the sequence of the service more clearly and compellingly. We trialled two options for the Upper Class menu; a booklet and the more unusual concertina format. 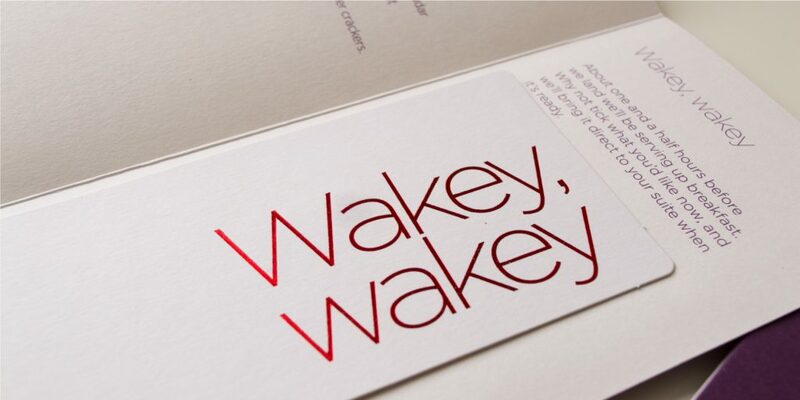 We also tested separate cards for afternoon tea and breakfast menus. After test flights, where both menus proved popular, it was decided to use the concertina format as it was the most distinctive, environmentally friendly and economical. When opened fully, the Upper Class menu shows the sequence of service from take off to landing so the passenger can plan their meal choices. The exact sequence of courses varies with the flight length and timing. We ensured that the design elegantly presented every permutation. The reverse details the extensive drinks list, including wines from Berry Bros. Weight is a crucial factor in any design for aircraft. In this instance, we used the weight of the economy menu as the bench-mark as it has the greatest impact of the suite. Compared to the previous menus, the Economy menus had the same weight, the Premium Economy was slightly lighter, and the Upper Class menus (including the new cards) had their weight reduced by about half, representing a significant fuel economy across the fleet. The materials used contributed to the weight reduction. Avebury Recycled Wove paper complements the linen fabrics used in the meal service, maintaining a coherent customer experience. The menu is printed in a single ink. Along with the simple finishing, this keeps the production costs low. This enabled investment in good quality paper stock and gold foil on the covers to ensure the luxury feel of the menus.